Christmas is all about family and children and for most of us it's a time of celebration and fun. But not everyone is as fortunate and so I make no apologies for writing this blog post - these charities deserve our attention and you might not realise how easy it is to support some very deserving children, even some of the stuff we do everyday - like buying shopping, watching telly and washing the dishes - can help. Don't believe me? Read on. Together for Short Lives is the only charity representing the estimated 23,500 children and young people across the UK who are unlikely to reach adulthood, a fact that I find incredible. The charity works to ensure that every one of these children and their families get the best possible care and support whenever and wherever they need it. 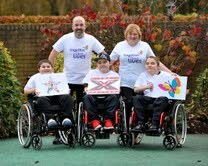 You may have seen the very moving film about the Lloyd family on the X Factor results show last Sunday. I watched it and really felt for the parents of the three boys, Dan, Tom and Sam who all live with Duchenne Muscular Dystrophy. Their parents are full-time carers to their boys and live with the knowledge that their only children are unlikely to reach adulthood. How they find the strength is beyond me, but for them it's a daily necessity and - I'm sure - a labour of love. But providing care - often 24 hours a day, seven days a week - can place families under enormous emotional, physical and financial strain. Relationships can suffer; careers may have to be abandoned; well brothers and sisters can feel left out; and normal family activities become almost impossible. Together for Short Lives is there to help. It could be as simple as signposting a parent to a place that can take care of their ill child while they take their well sister to Brownies, or providing them with a ‘family companion’ booklet to help families work through what to expect, and where they can find help. 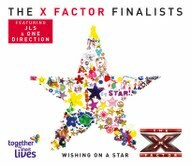 The X Factor Charity Single ~ Wishing on a Star ~ is available to buy here or from any high street store including M&S who feature it in their Christmas tv ad, with all proceeds going to this very worthy charity. There's also a free X Factor partypack available for the final. The profile and funds generated by the X Factor single will make such a difference to this critical work. Please be generous in your support. Since 1949 SOS Children has been working to ensure that children who have lost their parents through conflict, famine, natural disaster, disease and poverty - can enjoy a family life. 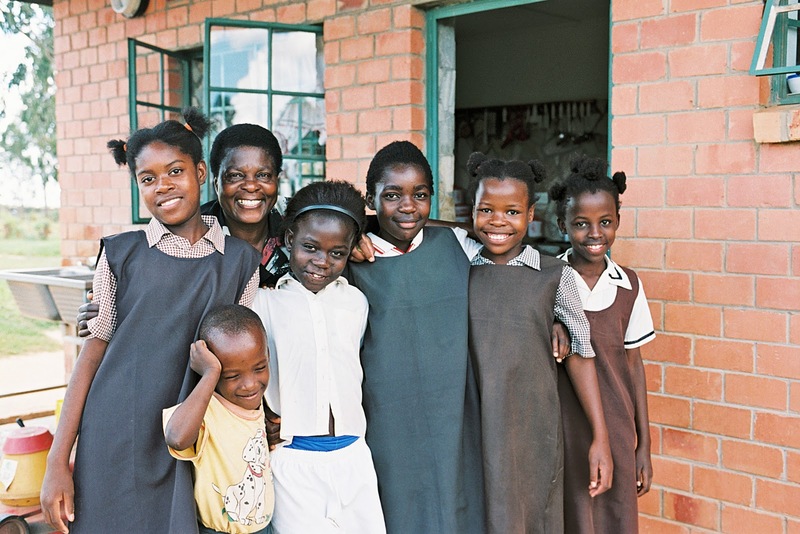 SOS Children's outreach support includes education, vocational training, medical care and community development programmes. SOS Children are currently building a new Children's Village in Chipata, eastern Zambia, where poverty and disease have left thousands of children completely alone without parental care. The new Village will provide a safe home for vulnerable children, as well as a school and medical centre for the community. 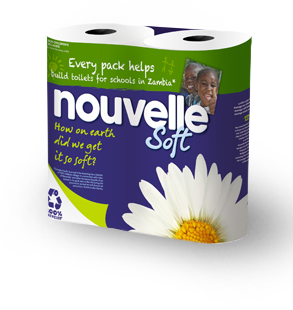 Sales of Nouvelle Soft toilet roll are funding the construction and maintenance of a much needed toilet and sanitation block for the school, which will drastically improve hygiene and comfort for generations of pupils to come. Access to clean water and adequate sanitation are critical in tackling factors related to child mortality and survival, with an estimated 4.8 million Zambians living without access to clean water and 6.6 million lack access to sanitation. I often buy Nouvelle toilet rolls because they're made from recycled paper and I'll definitely look out for their special packs over the next few weeks. We all buy loo roll, and that's how easy it is to support this great initiative! The Fairy and Make-A-Wish Foundation partnership is now in its 8th year and aims to help dreams come true for children across the UK. According to research by Make-A-Wish at any one time in the UK there are around 20,000 children and young people with life-threatening illnesses and this year, with the help of a network of supporters and dedicated volunteers Make-A-Wish has granted wishes for over 750 of them. Whether their wish is to become Prime Minister for the day, take part in a helicopter rescue or ride a bicycle around the garden the charity can make if happen. 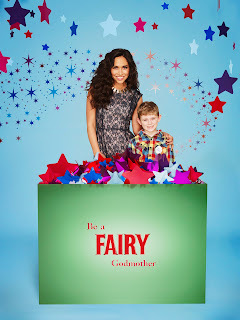 You can help by buying the special packs of Fairy when you're out shopping and also by 'liking' the facebook page. For every person who likes the page Fairy will make a 50p donation to Make-A-Wish (up to a max of £20,000). Now how easy is that?